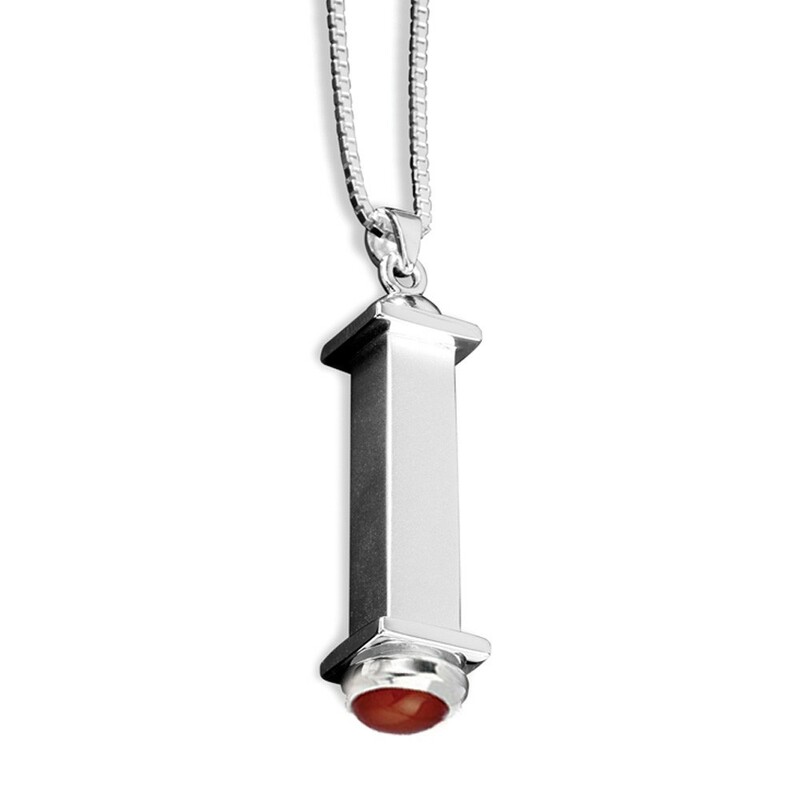 Redolent of the resilient pillars of the most fortified buildings around the world include the Parthenon, and Pantheon, the Deco Pendant in Red Carnelian symbolizes action, that will give you the courage and confidence to move forward on a new path in life. In ancient times it was a stone used to protect the dead on their journey to the after-life. If you know you need to move your life forward in a new direction, use this powerful stone.